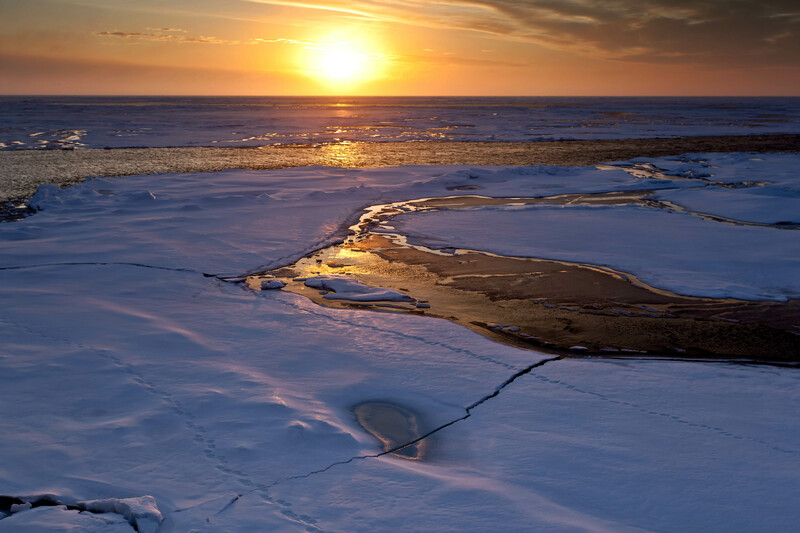 The photo was taken during a cruise of the German research icebraker Polarstern to the central Arctic, where the ongoing changes, in particular the sea-ice decline, were observed first-hand. What I particularly like about this image is that it shows beauty and decay at the same time. Once you pass the moment of deeply admiring this breathtaking landscape, you notice the polar bears footprints and start thinking. Until you realize that in the near future, scenes like this will be gone forever.